On this episode of The MMA Report, Gunz speaks with Aaron Bronsteter of TSN. 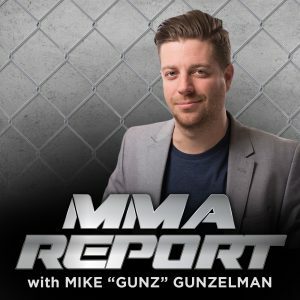 They discuss the upcoming UFC Fight Night Cejudo vs Dillashaw, as well as 2019 predictions – what does Cormier do, who is the best heavyweight, Paige van Zant’s need for a win, and of course Conor McGregor. Give it a listen!